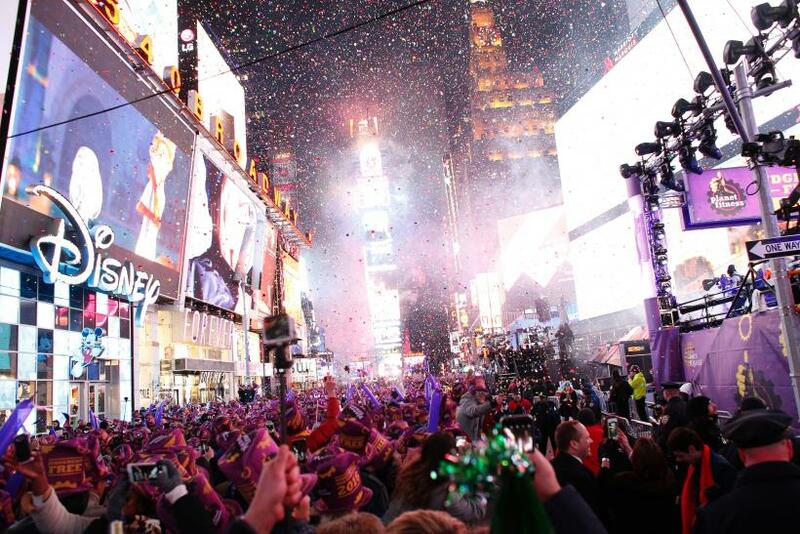 How did you celebrate New Year’s Eve? Everyone has a different tradition, whether it be popping open a bottle of champagne and wearing a festive hat or simply snuggling up next to your significant other on the couch to watch the ball in New York’s Times Square drop on television. Most people are probably sleeping in or nursing a wicked hangover, but for those curious about how Hollywood celebrated, we’ve rounded up photographs and tweets posted by your favorite stars. Kim Kardashian West shared a photo of herself sitting next to hubby Kanye West and a group of friends. Newlyweds Sofia Vergara and Joe Manganiello were dressed to the nines to ring in the new year. Drake threw quite the festive New Year’s Eve party. The celebration even appeared to bring Lil Wayne and Birdman together. Julianne Hough shared one of her family traditions on New Year’s Eve. Justin Bieber took a quick snap at his party before his guests arrived. Lady Gaga and her future husband, Taylor Kinney, spent New Year’s Eve on the ski slopes. Kourtney Kardashian revealed who she kissed at midnight. “Jersey Shore” alum Snooki shared this sweet picture of her daughter. “Pretty Little Liars” star Lucy Hale posted a cute photo with her boyfriend, Anthony Kalabretta, on Instagram. Carrie Underwood spent the night with Ryan Seacrest, performing on “New Year’s Rockin’ Eve” in New York. And, of course, Demi Lovato’s beau, Wilmer Valderrama, was stageside to support her. Meanwhile, Nicki Minaj hung out with her girls New Year’s Eve.